Amazing World: Runway crossing the express Highway!! Runway crossing the express Highway!! 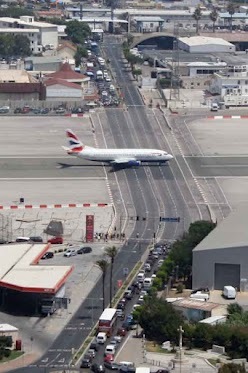 Gibraltar Airport in British overseas territory of Gibraltar is the only airport in the world - which has runway crossing the express Highway (between Spain & the island). Traffic lights are used to stop the traffic while an aircraft takes off or lands! British Airways has daily flights here.